EIBI stands for Early Intensive Behaviour Intervention and is the implementation of the principles of behaviour based on Applied Behaviour Analysis or ABA. Behaviour is anything we say or do, from asking for milk, or a child telling their parent they can hear a plane, to playing in a sandpit. Even though those principles can be applied in many settings, such as hospitals or companies, it is mostly known for its implementation in children with autism and related disorders. The popularly cited study by Ivar Lovaas in the 1980s showed that the principles of EIBI were successfully applied in an intense program of behavioural-based instructions to treat children with Autism. This seminal study showed that children with Autism could make dramatic progress when receiving a program of instruction of this type. Since then many studies have been published with similar results. Many techniques are used under the umbrella of EIBI but all are based on the application of behaviour analytical principles. This includes identification and modification of the Antecedents preceding a behaviour, and the Consequences following a behaviour, to affect change in the Behaviour. Desired consequences (reinforcement) for the child after appropriate behaviour is likely to increase future appropriate behaviour; whereas when no reinforcement is given for inappropriate behaviour, this will most likely decrease inappropriate behaviour. 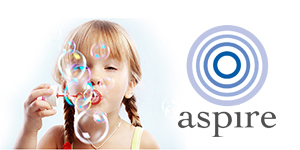 At Aspire we use the latest and best practices to teach appropriate behaviour and to reduce inappropriate behaviour. Procedures for reducing challenging behaviours, such as aggressive and disruptive behaviours, generally include strategies for not reinforcing the inappropriate behaviours, while teaching alternative appropriate replacement behaviours. At Aspire we utilise Functional Behaviour Assessments for all our clients. An FBA refers to procedures used to gather information about a child’s behaviour, its antecedents, and its consequences. By conducting FBA’s we can develop a theory of what is reinforcing or maintaining particular behaviours. Once we have established why an inappropriate behaviour is re-occurring, we define behaviour problems and develop appropriate positive behaviour intervention plans together with families to achieve the best outcome. See our list of research studies for outcome studies on the effectiveness of EIBI intervention. Verbal Behaviour was originally proposed by Skinner (1957); the VB approach employs a functional account of language. VB teaches children to use language and communication in a functional context and uses their natural motivation to learn it. Rather than dividing language into receptive and expressive language according to a psycholinguistic model, language and communication is taught using the childís motivation. This ensures faster learning, better retention of mastered skills, and better generalisation of mastered skills. Echoic: repeating of sounds, blends, words and sentences. Mand (from “demand”): request for items, action or information. Intraverbal: responding to conversation type questions. Verbal Behaviour is any behaviour for which the reinforcer is mediated by the behaviour of another person. This does not mean that verbal behaviour needs to be vocal. At Aspire, we currently service clients who are verbal but use sign language or PECS (Picture Exchange Communication System), WECS (word/text communicating system) or writing – to communicate effectively with their peers and parents. See below for examples for a few basic functions of language in a Verbal Behaviour framework. Why use a Verbal Behaviour framework? Acquiring language is more than learning “the meaning of words”. Some “old style” Applied Behaviour Analysis programs require the child sit at the table and learn “expressive labels” while the therapist says “What is this?”, or have the child identify pictures when the therapist says “Give me apple”. By only presenting therapy in this manner, the therapist is not using the child’s natural motivation to learn. We cannot assume that once the child has learned “the meaning” of a word, or label it when the therapist or parent asks “What is this?”, that they will use it in a functional way. As children on the spectrum often have a difficult time learning how to learn, one of Aspire’s initial goals is to engage your child so that they develop motivation and want to learn. We do this by using a Verbal Behaviour Framework and extensive pairing procedures. In addition we also establish relation frames early so that we teach a child to not only learn language but learn to develop language on their own accord. The initial emphasis at Aspire is for an early learner to establish joint attention and “mands”. This is the ability to request for items or actions. There is little point for a child to be able to label 20 objects or actions when presented with flash cards and being repeatedly asked “What is this?”, but not being able to actually request for milk when they want it, or to direct someone’s attention to what they want. Antecedents are not just “verbal instructions” that the child needs to follow. An antecedent is anything a child sees, hears, feels, smells, or tastes. Please see below for examples for MANDS, TACTS and INTRAVERBALS. The natural environment is the environment in which your child typically interacts with people and objects on a daily basis. The natural environment include places like pre-school, home, grandma’s house, church, day care, etc. The natural environment is where your child’s learning and communication skills should be applied in a functional context. Your ultimate goal of teaching should be your child’s ability to independently interact with others in these environments and to learn in and from their environment, like typically developing children learn. Training in the natural environment should be ongoing and continuous. Since the natural environment does not always allow multiple opportunities for your child to use their skills, we must “set up” the environment so that these learning situations occur more frequently. Even though situations can be contrived, it does not make the environment unnatural. Natural environment training utilises the child’s motivation to apply and generalise the skills they may have learned in a more discreet setting and the child can learn new skills in this setting because they are motivated to learn them. At Aspire we will assist you by demonstrating how to set up NET opportunities and how to take data when teaching your child in a natural setting. Many skills such as social skills, communication and play skills lend themselves for teaching in NET. We currently provide programs for children who are solely taught using Natural Environment Training and incidental teaching. Parents frequently comment after seeing their child thrive without doing structured ‘drills’ at a table in a discreet trial format that they did not think that was possible in a program. For all children it is crucial to program for a good balance between providing a NET component and a DTT component in a contemporary EIBI program. If your child will be attending a mainstream school or your intention is for your child to attend a mainstream school, they will need to learn how to learn in a natural setting. Public and private schools do not necessarily teach children using DTT. Therefore at Aspire we will assist you in teaching your child how to learn in, and from their natural environment. Precision teaching refers to a set of procedures for deciding if, when, and how an instructional program can be improved to facilitate your childís learning. Using Precision Teaching makes therapists and parents more effective and efficient in adapting to a teaching style to meet your childís needs. A term that is frequently used in precision teaching is Fluency. This is a technique that is used in contemporary ABA programs that teaches a child to become fluent in a particular skill. Fluency is a metaphor that describes how well a child has learned a certain skill. When children achieve skills to fluent levels, they can use these skills effortlessly, automatically, and without having to think about it. They learn skills so solidly that they can easily go on and use those skills to learn other, more advanced skills. Particularly for early learners, skills such as imitation or production of speech, fluency is important. When a child is fluent in a particular skill, they can attend better to other things around them. When a child does not have to think about how to say something, they can spend more time on thinking about what to say or who to say it to. One basic premise of Precision Teaching is that “the child knows best”. This means that if your child is progressing then the program is right, if your child is not progressing, we as teachers need to change the program to suit your childís learning style. We do this by carefully evaluating your child’s learning style by working directly with him or her and looking at the data from your child’s program. At Aspire we always aim to increase skill learning rates. We do this by graphing skill acquisition. When skill acquisition is graphed, program managers can make changes to speed up your child’s learning. Our aim is that your child’s acquisition rate will increase to such levels that they will learn new skills faster and catch up compared to their typically developing peers. Discrete Trial Training (DTT) is a direct teaching methodology based upon the principles of Applied Behaviour Analysis (ABA). While sometimes referred to as “ABA”, it is not synonymous. DTT is only one of many strategies within the field of ABA and EIBI. Discrete Trial Training is a technique for managing many learning opportunities by breaking down complex skills into small manageable steps. By breaking skills down, the child becomes competent and can master these skills relatively fast before introducing more difficult steps. Teaching builds upon mastered skills, moving towards more complex skills. Typically, DTT takes place at a table and initially starts with “readiness” skills such as sitting in a chair and attending while decreasing behaviours that interfere with learning. Many trials can be presented in a relatively short period of time. The child gets reinforced frequently for responding correctly. DTT in a contemporary ABA program includes mixing and varying instructions from different programs. An errorless learning procedure is used for teaching new skills, so the child is successful very quickly and feels competent in achieving skills independently. By providing intermittent mastered trials the child gets frequent reinforcement and is more likely to be successful and feel competent in achieving this new skill. As soon as new skills are mastered in a discreet setting, programming for generalisation needs to occur. For some children generalisation will occur very quickly, while others need very systematic planning for generalisation and teaching will often occur through the use of multiple exemplars. In contemporary ABA programs, therapists will mix and vary trials across programs. Therapists are specifically trained on how to implement mixed programs rather than delivering programs consecutively. This way the skills that are presented to your child will be less rote and with increased variety, instructions will present more naturally and children will generalise faster. If you have any specific questions on how we would tailor an individualised contemporary program specifically for your child please contact us.